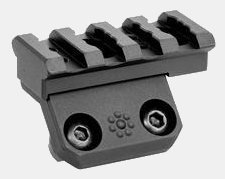 The Patent Pending Arisaka Offset Picatinny Mount is a combination of Offset Scout Mount and Picatinny adapter, and is meant for use with Picatinny based lights, sights and other rail mounted accessories. 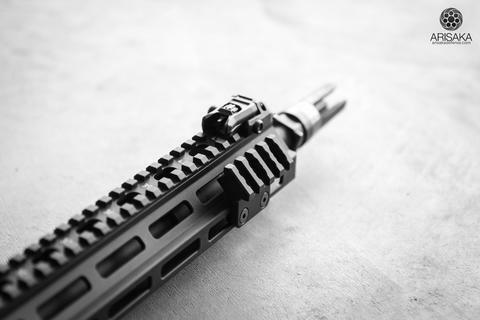 When used on the side mounting surfaces of an M-Lok handguard, the Offset Picatinny Mount places the light at a 45 degree angle and tucks it in for a low profile. Oriented upwards, the light is located at approximately the 1:30 or 10:30 clock positions. Oriented downwards, the light is located at approximately the 4:30 or 6:30 clock positions. 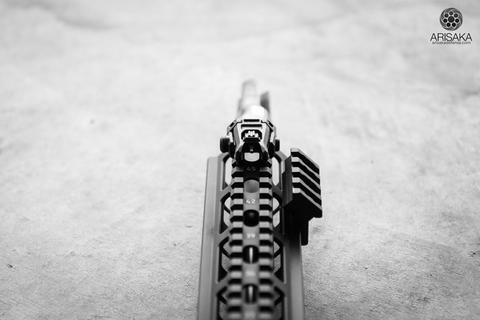 The Offset Picatinny Mount also provides multiple side-to-side mounting positions and is reversible, which allows the user to move the light closer or farther away from the top rail, front sights, or other accessories. Six positions are provided, spanning approximately 0.50". Requires a 5/64" Allen wrench for installation (not included). Made in USA by ARISAKA DEFENSE LLC.